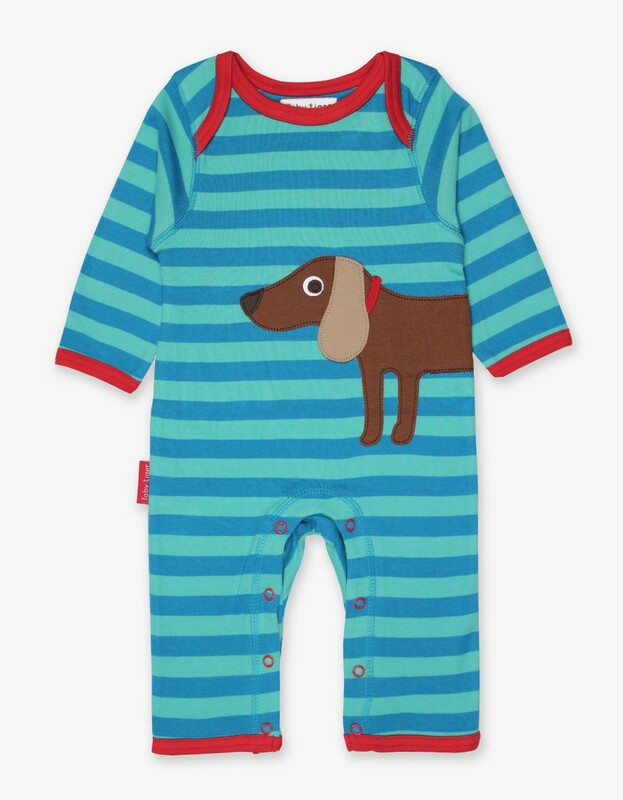 This friendly sausage dog pup brightens up the signature stripes on this lovely baby romper. Made from 100% GOTS certified organic cotton. 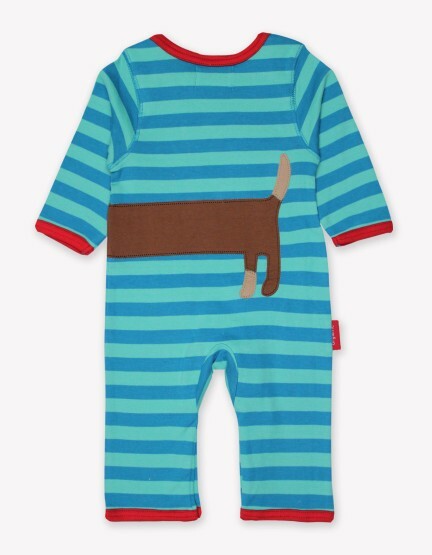 The high-quality fabric will ensure baby is snuggled up comfortably, and the envelope neckline and popper leg fastenings make changing your little one as simple as can be.